The May 9 is a sacred day ... And not just for the citizens of the former Soviet Union, but also for all progressive mankind! 22 years have passed since the Soviet Union has ceased to exist - 15 republics, 15 sisters ..... But on May 9 fade all visible and invisible borders between the former Soviet republics, in this day all veterans who have survived in that terrible war and their descendants take to the streets of cities and villages, joined again by the spirit of brotherhood, and in the day of the Great Victory. There is not a single family in the territory of the former Soviet Union, which has not lost at least someone of their family or friends in that terrible war. 20 million victims .... This figure speaks for itself ... 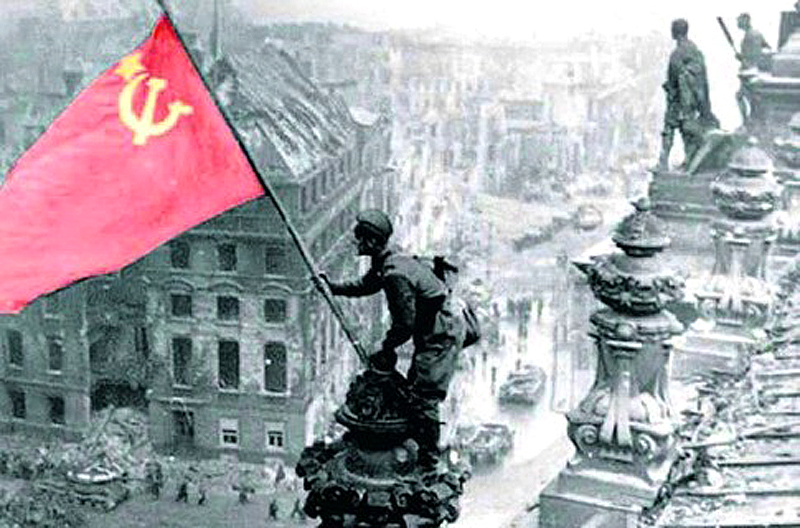 Unfortunately some political circles and the mass media have tried and are trying today to present the contribution of the USSR to this Great Victory in a different way, in other words they are trying to undermine the merits of the Soviet people in the Victory ... But to those who are interested and those who know the history of that war, also know exactly the whole truth, know when has been opened by the Americans the Second Front, they also know that all the weight and suffering of four years of war has been led down on shoulders of the Soviet Union .... One can rewrite history according to his political views or ideological preferences, but one can not CHANGE the history! That war has united different people and different nationalities, people of different religions, so THIS IS OUR Victory, the Victory of all humanity over the terrible phenomenon that has the name - FASCISM! ..... 68 years have passed since that great Day. The Soviet Union does not exist, and every year there are fewer and fewer veterans of that war ... But we are alive - their descendants, and we live with the memory of those who have sacrificed their lives for us and for peace in the world. Glory and Eternal memory to the heroes who have fallen in that war and the glory and respect to all the soldiers of that war, who are alive! Their feat is always in our hearts! No one is forgotten, nothing is forgotten!"